For my card I used this adorable image by Rachelle Anne Miller called Sugar and Spice (which looks like it's sold out right now). The dp is PTI Fall Prints and Patterns and the layout is this week's Super Sketch #98. 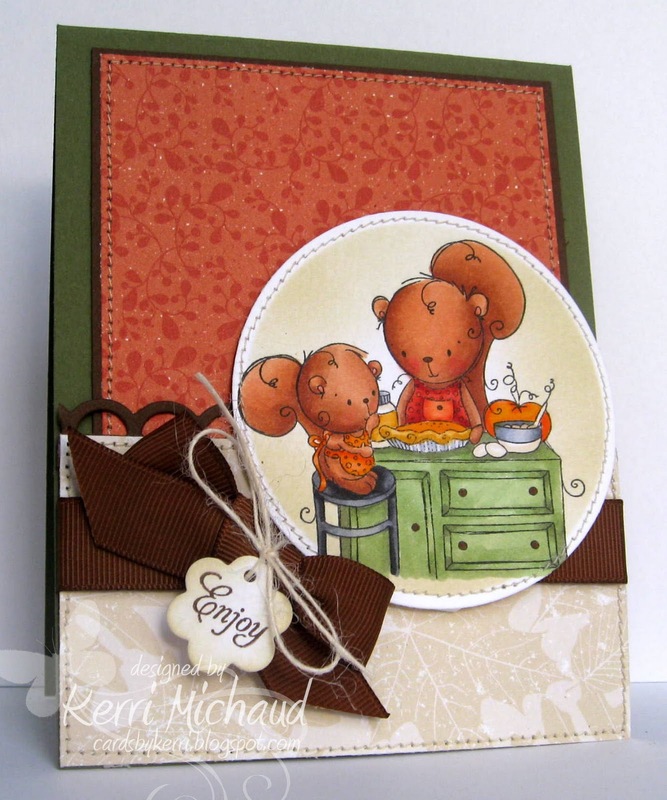 The tag is from the PTI set Tiny Tags with coordinating dies and the border was die cut with the MFT Die-namics Small Open Scallop Border Die. 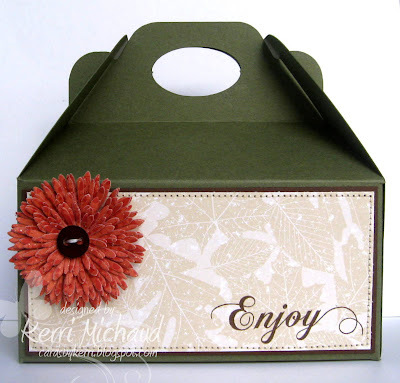 The box was made using a template from Perfect Presentation called Able Gable. I decorated it with some more PTI Fall Prints and Patterns dp and a sentiment from the PTI set Spiral Bouquet. The flower was made with the PTI Bloom Builders #3 Die. Today is the day of my daughter's meet, so I'll let you know how it goes! Unfortunately she has come down with a cold, so hopefully she'll still be able to focus:) I know, I am so going to be one of those gymnastics moms so watch out!!! I just love watching her! Speaking of, does anybody watch the show Dance Moms? I have to shamefully admit that I am totally addicted. Some people are just plain crazy! Anywho, thanks for stopping by and have a wonderful Sunday! 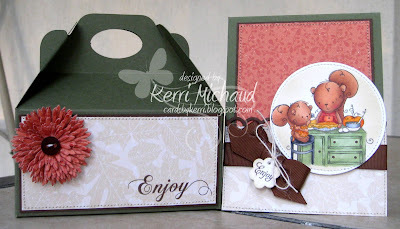 Love your little box Kerri, and your card is gorgeous, such a cute image and lovely colouring. What a beautiful gift set Kerri, the image is so cute! Great gift set Kerri! Beautiful coloring of the cute image. Oh this is such a sweet set! Awww, this is pure SWEETNESS! !